Mackintosh's last major commission in Glasgow showing evidence of the genius of the mature architect. Impressive leaded glass towers, magnificent tiled entrance hall, unique stonework and mastery of the interplay of light and space. Period classrooms, exhibitions, and activity programmes throughout the year. Displays on the history of the school and the local area, including interactive displays and our schools photographic database. Free Guided Tours; Male and Female Toilets; Wheelchair Access; Café and gift shop. Closed all day 25 and 26 December, afternoon of 31 December, all day 1 and 2 January. 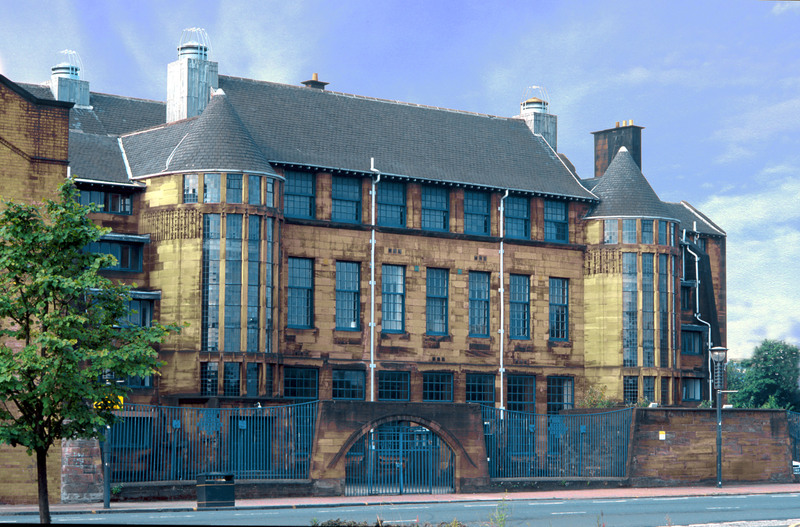 Scotland Street School Museum lies to the South of the City, within easy access from the City Centre. It is across the road from Shields Road Subway station. First Bus services 89 and 90 both stop near the museum. Nearby pay and display parking.